It was designed by Hilary Bobker of And It Was Sew Quilting. Patterns are available at cutting counter for free, one per person. 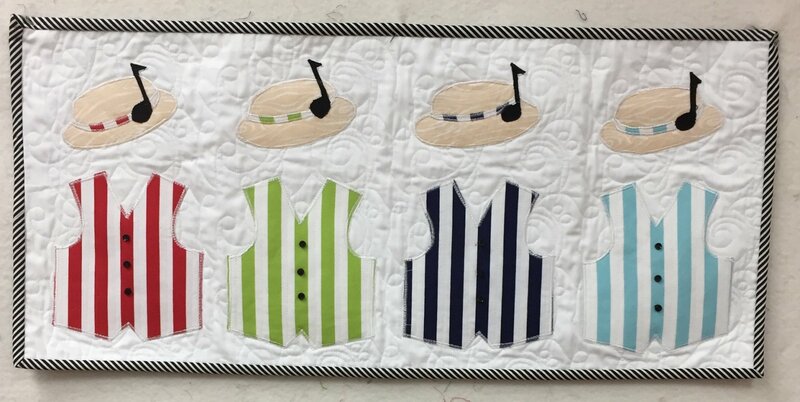 make a SHORT & SASSY horizontal 27" x 12" (finished) row. Patterns and kits are available ONLY in the shop. We will not mail or email them. Be the first person to bring a finished (quilted, bound, labeled) quilt using at least 8 different rows from 8 different participating stores into our shop and receive a bundle of 25 beautiful fat quarters.